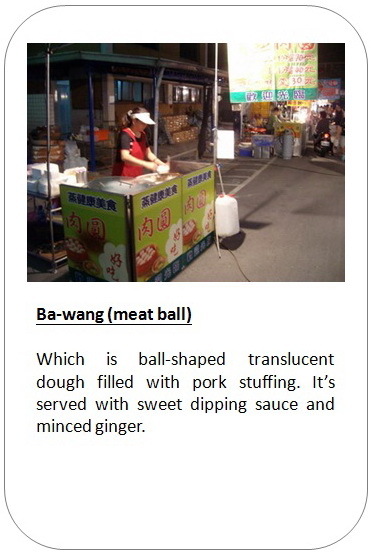 Xigang night market was initiated in 1975. 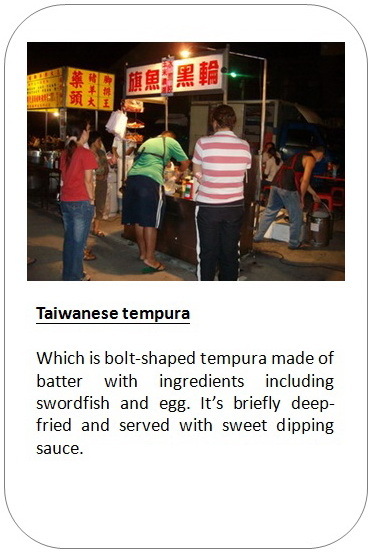 At beginning it's arrayed in front of Qing An temple and taken place only once a week on Tuesday night. That time Xigang was still a typical farming village. There's no such supermarket or wholesale store in Xigang. 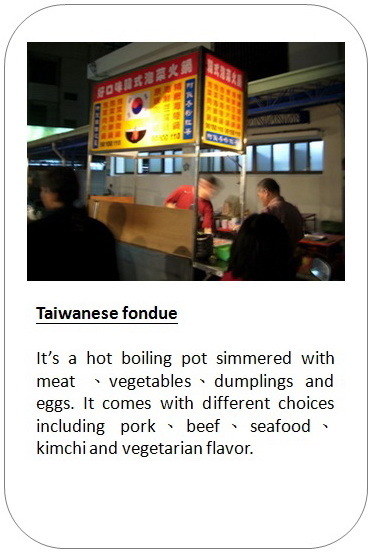 So apart from traditional shops and day-market, people relied a lot on night market for groceries and entertainment. Then from 1985 to 1996 it reached the peak. 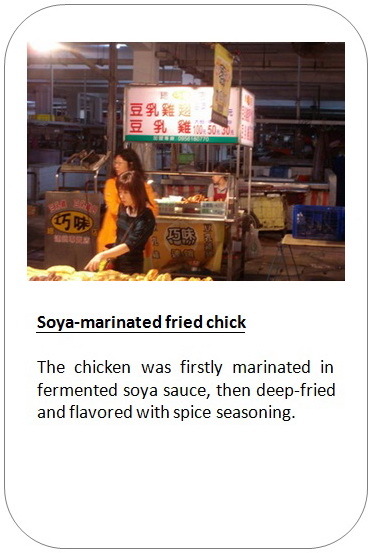 The coverage of Xigang night market was expanded to all streets surrounding Qing An temple and Xigang public market, as well as the frequency was increased to twice a week on Tuesday and Friday night. You can buy almost everything in night market, including groceries、fashion clothes & accessories、books & stationery、music cassettes & CDs、all kinds of tools or instruments and even night entertainments. But from 1997, service outlets like supermarkets、convenience stores、hypermarkets、KTV … became prevalent in Tainan. People have more other places to go during night time. 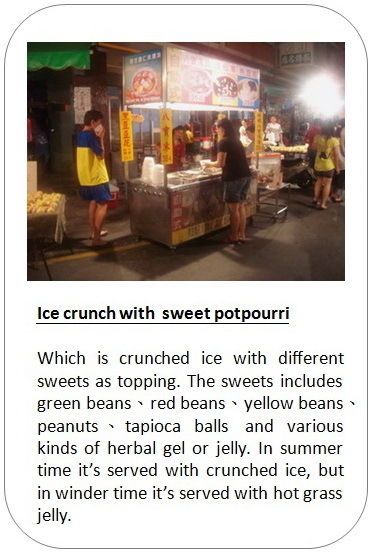 So the scope of Xigang night market began to wane. In 1997 they shut down the night market on Friday night and the coverage of Tuesday's night market was limited to the lanes surrounding Xigang public market. Even though in 2006 they revived the night market on Friday night again, but its scale, no matter venders or visitors, was far less than those before 1997. 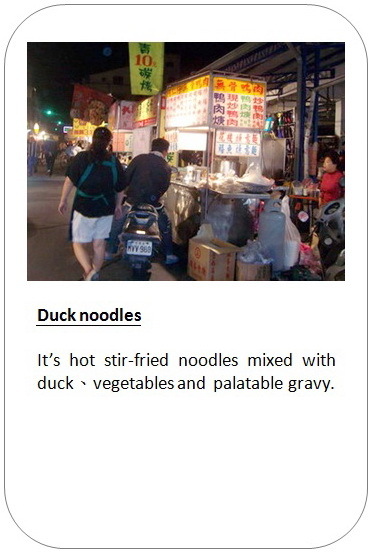 Nowadays Xigang night market is comprised mostly by food stands. 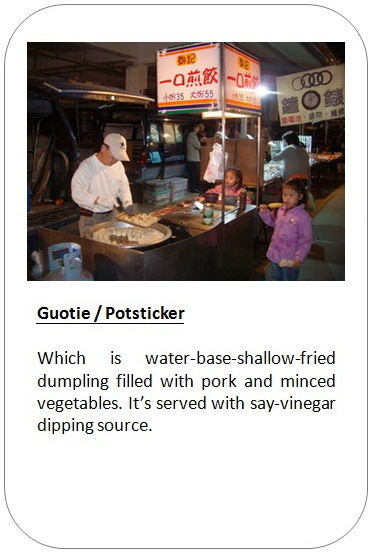 There're some particular foods or dishes really worth your try. The following stands are my favorites, which are appreciated by most residents in Xigang as well. Though their prices are inexpensive, but quality and taste are definitely above standard.